Mushroom coffee is a flavorful coffee beverage with medicinal mushrooms. Medicinal mushrooms have long been underappreciated, but are gaining popularity due to their health benefits. The properties of medicinal mushrooms are often quite well-known to the indigenous populations that have long consumed these mushrooms. 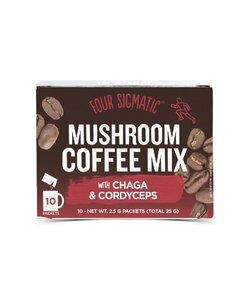 Foursigmatic produces coffee mixtures that include the most potent and well-researched mushroom extracts. 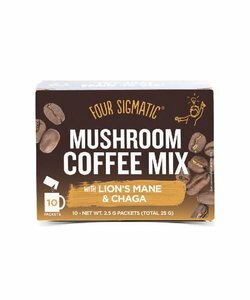 Medicinal mushroom products made by Foursigmatic and Natural Stacks make use of extracts of Lion’s Mane, Chaga, Cordyceps and Reishi mushrooms. Since these mushrooms have gained popularity only recently, their effects aren’t widely known and acknowledged. At LiveHelif we strife to provide you with the tools you need to upgrade your performance. We believe that medicinal mushrooms have a part to play in achieving that goal. That’s why you can buy Foursigmatic mushroom coffee and other medicinal mushroom products at LiveHelfi. It’s up to you to prove their effectiveness to yourself!